Viking Orion -Reviews for excursions getting worse??? I called Viking Ocean this week after reading about a tender usage for disembarking in Vancouver at this site. Viking customer representative checked and replied that we would be docking in Vancouver. I repeated back what she said and she repeated we would be docking. The plan from what I was told by email from Viking that it was a tender but that negotiations were under way. In the roll call the Vancouver ports people said that Orion would arrive the night before, once all others had left, dock overnight presumably to get luggage off, then move back to tender the next morning when the other ships arrive and stay there for disembark then embarkation of the next cruise. Then possibly move back to dock to finish loading luggage. So from the USA and AUS emails I’ve sent it is currently a tender but it could change. This was last week. They did indicate that there were negotiations. I really hope you are right but I think if you sent an email to tellus you might get a different answer. And also ask if passengers embarking will also berthed and not tendering. 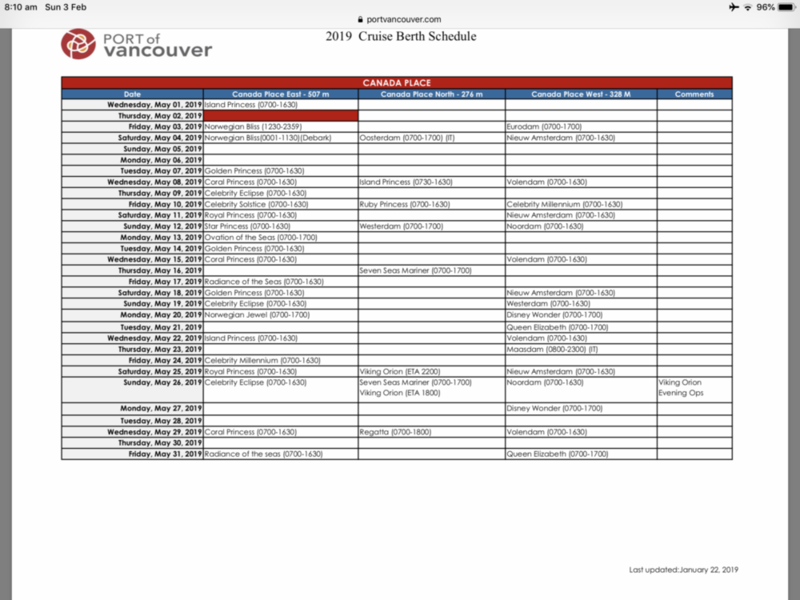 The Vancouver Port Authority schedule still has Orion listed as Night Ops which sounds exactly what I’ve described above. This schedule has been recently updated as of a couple of weeks ago. It shows us going back to berth at 1800. We are supposed to depart at 1700 so we will be very late leaving Vancouver. And it shows your cruise arriving the night before then moving back to tender. I think the operator was only only partially correct and that given this has been updated in the last couple of weeks that you will be Tendring off and we will be tendering on. I’ve just sent another email to the customer person I’ve been dealing with. There is no adjustment in MVJ and there is no mention of a tender in any port which is something not experienced with say Celebrity where they always say in advance which ports are tenders. Had Viking scheduled this cruise to start the next day there would not be any issues for us. I’ve booked private excursions as I don’t like the Viking lottery let alone the higher charges, and we don’t know yet if we will need to miss a port. But it will be a planned miss if that occurs and not due to a weather event which of course is completely unavoidable and I have no issues whatsoever with a port being missed because of such unknown events. If a port will be missed because of failure to plan and knowledge of port availability then that is a different thing entirely. I can see the schedule was updated on January 22nd to reflect the changes. Yes, I knew they embark through tender in UK but there’s no immigration out and in to contend with. And I’m neither Canadian nor USA citizen so back to the end of the queue. I haven’t cruised with Viking yet so have yet to establish the trust that others have. But I’m hoping issues will be short lived and planned for. But back to the included excursions, they are rather ordinary. And a DIY? It has been over 5 years since we cruised out of Vancouver, but from memory, the cruise check-in is 1 deck below the street and you drop suitcases at the entrance to check-in. First stage is the security check-in scanners, etc. You then head to US Customs & Border Protection. Can't remember if they had separate queues for US/Canadians, but I believe we can now enter info on a computer before going to a booth. Non Canadian/US passport holders get their photo & finger prints taken, but we have never experienced any long queues at CBP. Once clearing CBP you then head to the respective cruise line's check-in desks and then to the ship. If Viking are tendering, I assume you will be taken to a stairwell/lift/escalator to the lower level and then a bus. The biggest delays are generally waiting to get to security checks, as once through security the process runs fairly quickly. Since this is Viking's first cruise in Alaska, can't really comment on the tours. Having also worked Alaska for 2 summers, we haven't taken any ship or private tours for many years. Regrets, but don't have any current help regarding tours. Comparing Viking to Princess/HAL is like apples to oranges; albeit both are fruit but they're enjoyed or disliked by different people for various reasons. As it relates to Alaska, Princess/HAL have got it nailed and down to a very fine art given they've been sailing there for countless years, whereas Viking is flying by the seat of their pants with these new itineraries with ships which perhaps are not best equipped for the environment (i.e. tidal conditions in port, etc) which they will find out the hard way if they're not relegated to anchor in the busier ports of Ketchikan & Juneau. Having been to Alaska countless times I know the gangways provided by the ports are typically larger/wider than what the ships use which means they might be in for a surprise when trying to make use of what's on offer, not to mention the physical dimensions of the ships being 'smaller' than the conventional Princess/HAL ships calling into these ports will result in some interesting situations for sure!! Having been to Alaska countless times I know the gangways provided by the ports are typically larger/wider than what the ships use which means they might be in for a surprise when trying to make use of what's on offer, not to mention the physical dimensions of the ships being 'smaller' than the conventional Princess/HAL ships calling into these ports will result in some interesting situations for sure!! I completed 2 Alaska seasons with Princess back in the days of the original Island/Pacific/Sun Princess, which were all smaller than the Viking ships. Other than managing mooring lines with the tidal range, we had few issues. A number of other premium/luxury lines also have ships in Alaska, which are smaller than Viking and I'm not aware of any insurmountable issues. One of the biggest challenges for the Bridge Teams will be the amount of time they work with/babysitting pilots, as with the exception of Dixon Entrance, everything from Vancouver to clearing Icy Strait is pilotage waters. The issues i'm referring to are the dynamics of the ship design in such that the gangways will more than likely need to be on Deck 2 in ports where there are not floating pontoons which have not been taken by the 'regular' visitors, which on Viking is an outside deck with minimal space to maneuver for traffic, made especially worse during inclement weather. I'm sure the pilotage will be fine as its similar in many respects to the extended time spent going through the Norwegian fjords where pilots are onboard for extended periods of time without issue. Keeping in mind the topic of the thread I've also heard through the rumour mill that on Orion the Shore Excursions staff in comparison to the other ships is now comprised of mostly guest services personnel who are 'part time' shore excursions staff? One would think that if ships are calling into new and previously unknown ports they would want experienced people in these roles, but then again what do we know?!? I’d say that Viking have taken advantage of the local consumer market being Australian and not quite got that sorted out well yet. As we are mostly taking private excursions then the issue isn’t important for us but may be for others. We are also doing The Pyramids and Pharoahs River Cruise in December, so two huge bucket list trips for us this year, and I have no qualms about that whatsoever other than the obvious but trust that Viking know exactly what they are doing in Egypt. In fairness, the ships themselves are very well appointed and as you say there are numerous positives in comparison to others, least of all being the size and lack of distractions; however, there is still a big learning curve it seems especially when it comes to new itineraries. That said, there are no shortage of optional tour providers in each of the ports which you could make arrangements through on your own, likely at a savings in comparison to the optional tours onboard! Also keeping in mind the majority of people sign up for the included tours with Viking because they're free, but they also for the most part consist of a 'panoramic' bus tour and little else. To get back on topic . . . . . The tours being criticised are associated with Orion in her first few months, sailing in seas not familiar to Viking (despite Viking River being in China for many years). Excursions are designed and purchased by shoreside, who are charged with and responsible for providing good quality experiences for customers. This entails a duty of care, involving ensuring that the contractors and tour providers deliver a product of acceptable standard, presumably/hopefully by having "experts" taking "dry runs" of the tours, and visiting the places of interest, and not just by reading up Lonely Planet or TripAdviser. In this, the ship has had little or no part, but has to eventually deal with customers who are not happy with Viking's offerings. Certainly, the on-board excursions director on the recent new "Far East Discovery" cruise had a miserable time having to apologise day after day for tours which were so far from an acceptable standard. A no-win situation not of his making. Lesson One for Viking is that the efforts of their shoreside/head-office staff responsible for provision of these tours require critical review, appraisal and significant improvement, and when working in new areas, much more in-depth assessment of their contractors, their offerings and the quality of the guides (eg language, local knowledge) is required. Otherwise, we are better served, and cheaper, to take a red or yellow HoHo bus. Lesson Two is to believe and take account of the comments on the post-tour and overall cruise questionnaires, to understand that many of the criticisms originate/arise back in shoreside offices and that this part of their business is failing them. Sometimes miserably. I am full of sympathy for the on-board tours staff who do their best with what has been given them, and who must long for a Homelands cruise where the tours have all been sorted and guides are always up to Viking's desired standard. I also have sympathy for the ship, which gets ***** for almost everything but ** at best for excursions. 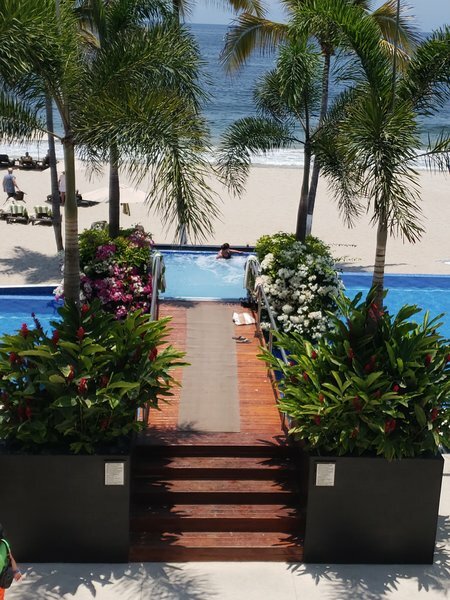 Captain_Morgan makes a good point that there are nearly always local tour operators available with whom to arrange private tours or activities. Perhaps customers would be better to use them when cruising in new (to Viking) seas, like Far East and Alaska. But Viking customers should not feel they should have to search for independent tour providers, unless they specifically want to, and some do. We look to choose our tours from a selection which we presume has been vetted and approved to high standard, expecting this work to have been already done for us. To Missymssy, I would say that you will greatly enjoy your VO cruise, but be prepared for some flexibility on tours. Watch the message boards and roll calls for live opinions, ask questions on them and have some alternates to fall back on if you need/want to cancel ship's tours. 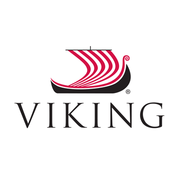 Lesson One for Viking is that the efforts of their shore side/head-office staff responsible for provision of these tours require critical review, appraisal and significant improvement, and when working in new areas, much more in-depth assessment of their contractors, their offerings and the quality of the guides (eg language, local knowledge) is required. I think this is the most poignant thing to keep in mind here in that its people in an office, thousands of miles away making plans and decisions without fully realizing the impact when it goes sideways, or fails to meet the high expectations of the paying clientele. I know with other companies, they send their staff on 'familiarization trips' before the tours are even launched as how can they 'sell' the virtues of what they're offering if they've never done it themselves? I have heard numerous comments from friends and friends of friends who recently sailed on the Amazon cruise which, when it came to the tours being offered were far below expectation and certainly a case of being over-promised and under-delivered and this is not the first time Viking have sailed there! Sadly as well, i'm told by many people on board that they're not able to make even the slightest change to the scheduled tours (i.e. adjust the departure/arrival times by a couple of minutes to improve the experience and/or reduce congestion/confusion) as everything is dictated from the office (their exact choice of words) which i would imagine is quite limiting for an experienced manager onboard trying to put on a brave face while apologizing non stop! We were on one of the Amazon cruise this winter. IMO Part of the problem is that area is just not made for "cruise ship" experiences...if one want to really see the Amazon, its people and culture you need to spend time either on a very small river- like craft or spend time at an eco lodge. The optional tours in the Amazon were not horrific however they were overcrowded...1/2 as many passengers assigned to each tour guide would have made the rainforest walk 100% better. Yes, the buses were HOT and not the cleanest but they were all that was available. We were lucky enough to get very knowledgeable guides each time. Our best excursion however was in Manaus and is was a DIY!!!! We did take a "snorkeling excursion" that was awful from one of the islands (maybe Trinada/Tobaga. )...not even enough gear for everyone on the boat!!! Glad we had our own! Viking should have refunded our money that is how bad it was!!!! I could have written this post myself. I totally agree. A bucket list trip coming from Australia. We are on May 26 cruise and I am very worried. I am booking excursions separately to Viking. I just hope we don’t spend most ports having to tender. And the lack of information about any tenders on MVJ - well I’ve never known a cruise line not to disclose tenders before booking. Alaska is all about the sights. The ships are lovely. Yes. But that isn’t Alaska. I hope I am very very wrong and that Viking delivers but I’ve found the pre cruise lack of information from Viking very concerning. No amount of good service will compensate for me missing the things we go to Alaska to see. As for the included tours, there is not one I’m interested in. If there are tenders then I might book them just to get off the ship quickly. So as long as we get to each berth I think I’ve mitigated the risk of a poor excursion. We’ve got one small boat full of CC people in one of the ports. These have already been booked and paid for long before I can book excursions on MVJ. I’m still over a month away to do that but a couple of the independent vendors are already full. @Rawmac This is Vikings first trip to Alaska. Ever. They are not familiar at all with it so everything stated about NZ and Australia applies here. Pushka, I did the same-booked and paid for a few excursions directly. The rest will be a mix of the included as well as just walking port/DIY. I think we’ve both done the right thing. Can you see the included excursions yet? A couple of the paid ones are brilliant but have found exact itinerary and cheaper booking direct. There is just the one in Valdez I need to book with Viking as there’s nothing direct. Ive not booked anything in Skagway. There is an included train in Skagway so at worst will do that. Maybe Alaska will be better than Australia as at least Viking is based in the US. Ill post a review here in early June as we will be staying in Honolulu for a week and hopefully have good access there. Yes, I can see them. I think the included Skagway one will be ok.
We’ve booked glacier landing and dog sledding with TEMSCO. Much cheaper than Viking and I suspect same company. I like Viking and prefer their ships and informal style of cruise, but we're traveling with friends who are Viking averse and going on Silversea (630 passenger Silver Muse) who is experienced with Alaska ports. May still book tours on our own vs the pricey optional tours. To get back on topic . . . . . I am full of sympathy for the on-board tours staff who do their best with what has been given them, and who must long for a Homelands cruise where the tours have all been sorted and guides are always up to Viking's desired standard. I also have sympathy for the ship, which gets ***** for almost everything but ** at best for excursions. . Thank you for this. I would have liked to have said it, but you said it better. Excursions are by far the weak point in the VO product. They are all too frequently entirely inconsistent with how VO advertises itself: "The Thinking Person's Cruise." Viking is a big organization. Torstein Hagen has a wonderful vision for VO, but he can't be everywhere. The management of the excursions is undermining the rest of the product, and as you say, the problem is high up the corporate ladder, not with the staff on the ships. Amd here in Australia the included excursions are used as a major selling, and point of difference, between other cruise lines. That’s why there is great disappointment when you see what is actually on offer. Add to that, I think the process of getting booked on to an excursion is a weak point. And frustrating. While of course suites booking people will say they’ve paid much more, to me that is receiving the much larger cabin, better amenities and extended service. And nothing to do with excursions. Jim - totally agree with Hubbad v's Glacier Bay. I've always enjoyed the total experience in Glacier Bay with the Ranger talks and the glaciers, but provided you get into see Hubbard, it is actually a more impressive glacier than those in Glacier Bay. Also agree with Taku Lodge, great scenery. If we ever return to Alaska, if we felt the need for a tour, would probably just book one when wandering ashore. However, if a first time visitor, I would book private excursions in advance. For those going to Alaska this summer, hope you all enjoy the experience. Haha, no, no, no. For the same reasons I did not buy the rubber ducky ride. I used to have a decent sized Zodiac and learned many things. Among them they are not very comfortable, less so when crammed wall to wall with fellow passengers, and rubber boats always involve some level of wet.. 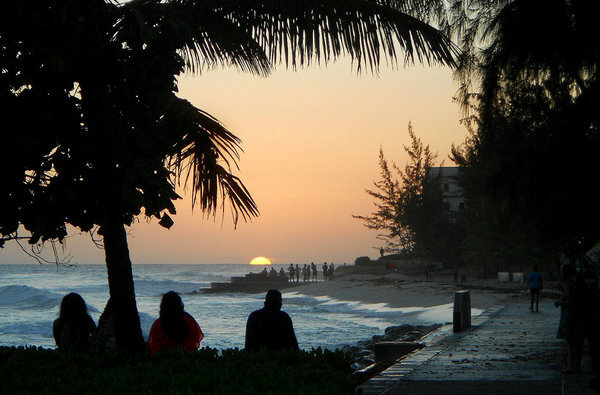 Thank you all for your honest feedback regarding our shore excursion offerings. We want to take this opportunity and chime in to confirm that your comments, presented here and privately via email, have not gone unheard. While we monitor theses forums closely and note areas of guest concern, we encourage you to share specific pre-cruise and onshore feedback at TellUs@vikingcruises.com so that we may speak more directly to individual ports and sailings. As always, we appreciate this chance to connect with you all and we look forward to continued conversations.